A new exhibition showcasing the very best local artisans launched at the Cambridge Art Salon last week. Lydia Fallon paid a visit. Cambridge’s vast array of creative talent is perhaps one of the city’s best kept secrets. If you look hard, really hard, you’ll find a vibrant art scene, brimming with sparkling homemade jewellery, beautiful prints and stylish ceramics, a hub of quirky gifts, just waiting to be snapped up for Christmas. But too often the very best things are the hardest to find. Mandy Knapp and Karen Jinks, the brains behind Cambridge Creative Network (CCN), hope a new exhibition will give local artists their chance to shine. Running from November 15-27, the Narrative exhibition is an exciting mixed show featuring a selection of artists who belong to the CCN. Whether you fancy a browse to pick up ideas for your own work or are on the hunt for the perfect gift, the exhibition has a little something for everyone. From stylish vintage-inspired jewellery by Mummybird Pretties to charming illustrations by Jo Clark, each display is curated in an elegant and considered way, revealing the provenance behind the work. The creative duo are also keen to make art, which can often be seen as overly high-brow, more accessible to the general public. During the exhibition there are a number of drop-in workshops available for kids and grown-ups alike. From bookbinding to festive postcard making, the ladies hope that the workshops will help people engage with the exhibition and maybe even inspire a few to pick up a paintbrush too. 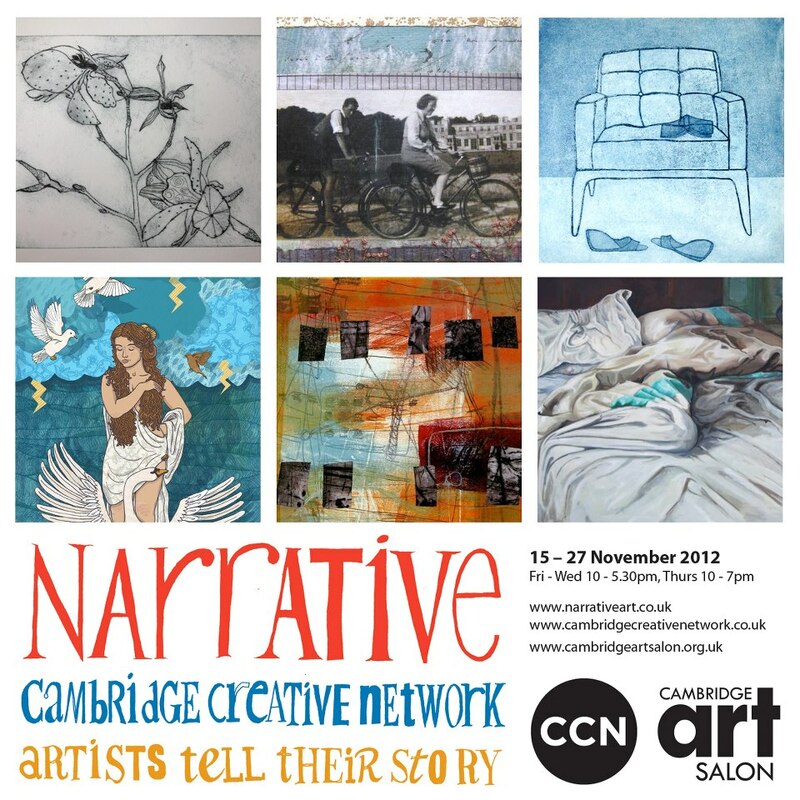 Narrative runs from November 15-27 at the Cambridge Art Salon on Cromwell Road. For more information about the exhibition visit the website at www.narrativeart.co.uk. You can find out more about Cambridge Creative Network at www.cambridgecreativenetwork.co.uk.